A few weeks after leaving office, former Secretary of State Hillary Clinton may have breathed a sigh of relief and reassurance when Director of National Intelligence James Clapper denied reports of the National Security Agency eavesdropping on Americans. After all, Clinton had been handling official business at the State Department like many Americans do with their personal business, on an unsecured server. In sworn testimony before the Senate Intelligence Committee on March 12, 2013, Clapper said the NSA was not collecting, wittingly, “any type of data at all on millions or hundreds of millions of Americans,” which presumably would have covered Clinton’s unsecured emails. I would guess that Clapper’s confession may have come as a shock to then ex-Secretary Clinton, as she became aware that her own emails might be among the trillions of communications that NSA was vacuuming up. Nevertheless, she found Snowden’s truth-telling a safer target for her fury than Clapper’s dishonesty and NSA’s dragnet. In April 2014, Clinton suggested that Snowden had helped terrorists by giving “all kinds of information, not only to big countries, but to networks and terrorist groups and the like.” Clinton was particularly hard on Snowden for going to China (Hong Kong) and Russia to escape a vengeful prosecution by the U.S. government. 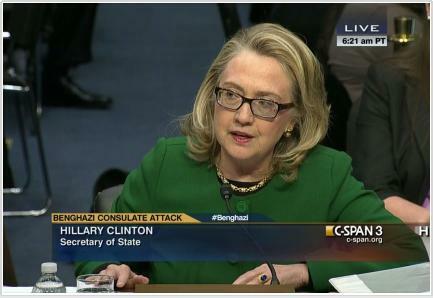 Alas, nearly a year later, in March 2015, it became known that during her tenure as Secretary of State she had not been as diligent as she led the American people to believe. She had used a private server for official communications, rather than the usual official State Department email accounts maintained on federal servers. Thousands of those emails would retroactively be marked classified – some at the TOP SECRET/Codeword level – by the department. Asked if Clinton “intentionally endangered US international security by being so careless with her email,” Snowden said it was not his place to say. Nor, it would seem, is it President Barack Obama’s place to say, especially considering that the FBI is actively investigating Clinton’s security breach. But Obama has said it anyway. Not surprisingly, the ensuing court martial found Manning guilty, just as the Commander in Chief had predicted. 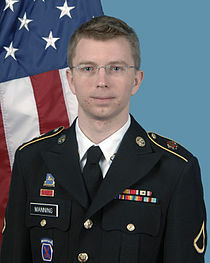 Though Manning’s purpose in disclosing mostly low-level classified information was to alert the American public about war crimes and other abuses by the U.S. government, Manning was sentenced to 35 years in prison. Merited or not, there is, sadly, some precedent for Clinton’s supreme confidence. Retired General and ex-CIA Director David Petraeus, after all, lied to the FBI (a felony for “lesser” folks) about giving his mistress/biographer highly classified information and got off with a slap on the wrist, a misdemeanor fine and probation, no jail time – a deal that Obama’s first Attorney General Eric Holder did on his way out the door. Last week, Fox News TV legal commentator Andrew Napolitano said the FBI is in the final stages of its investigation into Clinton and her private email server. His sources tell him that “the evidence of her guilt is overwhelming,” and that the FBI has enough evidence to indict and convict. Whether Napolitano has it right or not, it seems likely that Clinton is reading President Obama correctly – no profile in courage is he. Nor is Obama likely to kill the political fortunes of the now presumptive Democratic presidential nominee. Yet, if he orders Lynch and Comey not to hold Hillary Clinton accountable for what – in my opinion and that of most other veteran intelligence officials whom I’ve consulted – amounts to at least criminal negligence, another noxious precedent will be set. This time, however, the equities and interests of the powerful, secretive NSA, as well as the FBI and Justice, are deeply involved. And by now all of them know “where the bodies are buried,” as the smart folks inside the Beltway like to say. So the question becomes would a future President Hillary Clinton have total freedom of maneuver if she were beholden to those all well aware of her past infractions and the harm they have done to this country. One very important, though as yet unmentioned, question is whether security lapses involving Clinton and her emails contributed to what Clinton has deemed her worst moment as Secretary of State, the killing of Ambassador Christopher Stevens and three other U.S. personnel at the lightly guarded U.S. “mission” (a very small, idiosyncratic, consulate-type complex not performing any consular affairs) in Benghazi, Libya, on Sept. 11, 2012. Somehow the terrorists who mounted the assault were aware of the absence of meaningful security at the facility, though obviously there were other means for them to have made that determination, including the State Department’s reliance on unreliable local militias who might well have shared that inside information with the attackers. However, if there is any indication that Clinton’s belatedly classified emails contained information about internal State Department discussions regarding the consulate’s security shortcomings, questions may be raised about whether that information was somehow compromised by a foreign intelligence agency and shared with the attackers. We know that State Department bureaucrats under Secretary Clinton overruled repeated requests for additional security in Benghazi. We also know that Clinton disregarded NSA’s repeated warnings against the use of unencrypted communications. One of NSA’s core missions, after all, is to create and maintain secure communications for military, diplomatic, and other government users. Clinton’s flouting of the rules, in NSA’s face, would have created additional incentive for NSA to keep an especially close watch on her emails and telephone calls. The NSA also might know whether some intelligence service successfully hacked into Clinton’s server, but there’s no reason to think that the NSA would share that sort of information with the FBI, given the NSA’s history of not sharing its data with other federal agencies even when doing so makes sense. It is altogether likely that Gen. Keith Alexander, head of NSA from 2005 to 2014, neglected to tell the Secretary of State of NSA’s “collect it all” dragnet collection that included the emails and telephone calls of Americans – including Clinton’s. This need not have been simply the result of Alexander’s pique at her disdain for communications security requirements, but rather mostly a consequence of NSA’s modus operandi. With the mindset at NSA, one could readily argue that the Secretary of State – and perhaps the President himself – had no “need-to-know.” And, needless to say, the fewer briefed on the NSA’s flagrant disregard for Fourth Amendment protections against unreasonable searches and seizures the better. So, if there is something incriminating – or at least politically damaging – in Clinton’s emails, it’s a safe bet that at least the NSA and maybe the FBI, as well, knows. And that could make life difficult for a Clinton-45 presidency. Inside the Beltway, we don’t say the word “blackmail,” but the potential will be there. The whole thing needs to be cleaned up now before the choices for the next President are locked in. Ray McGovern works with Tell the Word, a publishing arm of the ecumenical Church of the Saviour in inner-city Washington. He served as a CIA analyst for 27 years, during which he prepared and briefed the morning President’s Daily Brief for Presidents Nixon, Ford, and Reagan. Hillary to Challenge Trump in 2020?